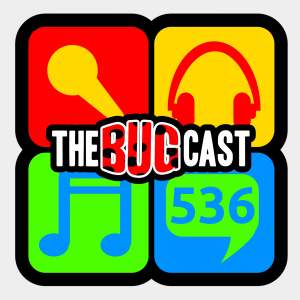 the bugcast 536 – Spooktacular! This week on The Bugcast: some spooky dude takes over the mic to present our Halloween special, complete with 8 fantastic (and half-seasonal) tracks of Creative Commons music from Predator, Pure Mids, The Chased, Fox & Mew, Rama Druma, LukHash, Monocyte, and Sifar. This week on The Bugcast: Dave battles a microwave, we prepare for Eurovision, Caroline reviews some trademark fails, and we play 8 amazing tracks of Creative Commons music from Dark Park, Anydoll, IntoXication, Sunwill, Mark Ramsey Gott, Barefoot McCoy, Templeton Universe, and Pure Mids.